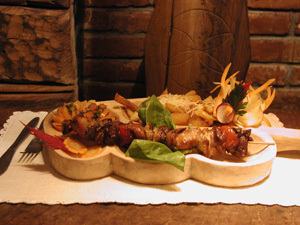 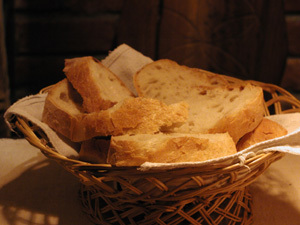 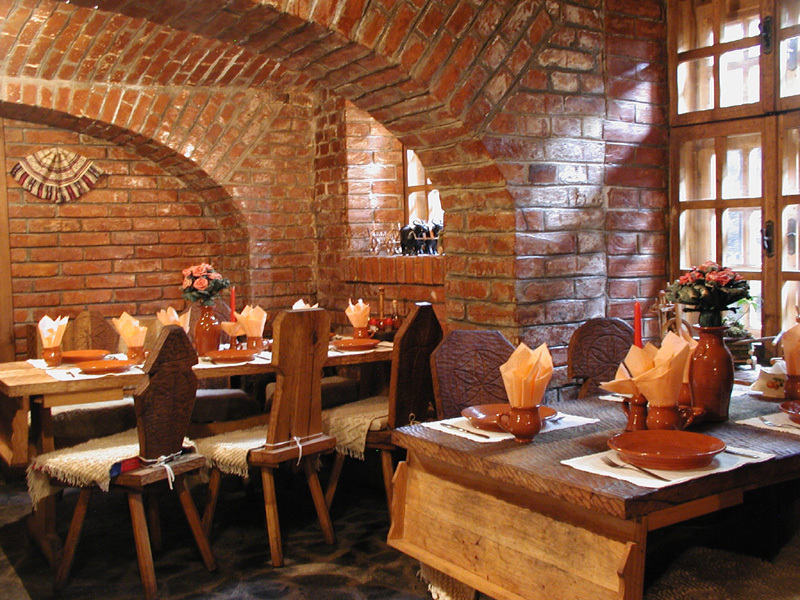 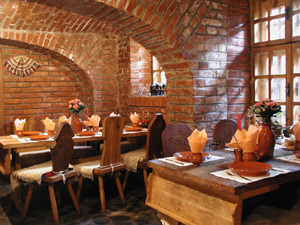 Ileana Wine Cellar Here you can enjoy delicious country-like and pastoral food beginning with the traditional polenta ("mamaliga") and sour cream, and ending with the most sophisticated tasty foods. 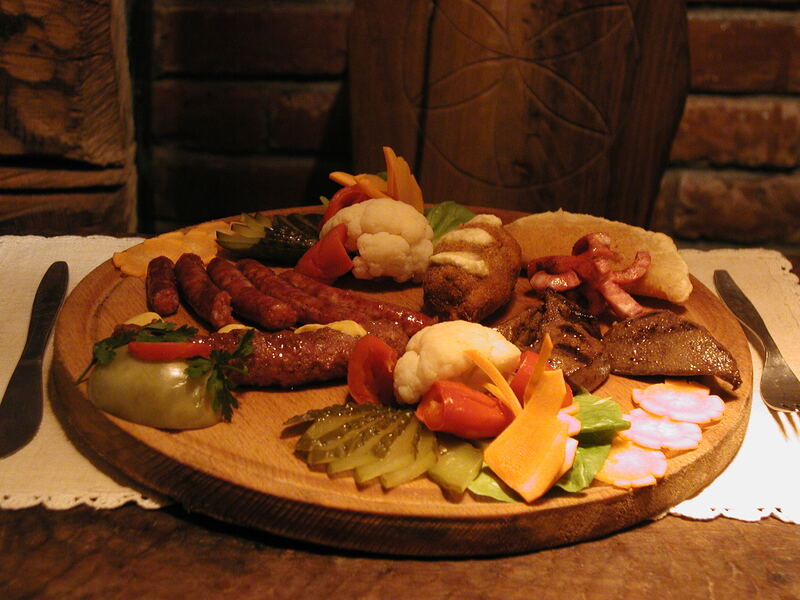 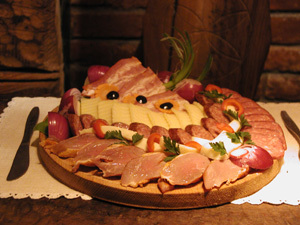 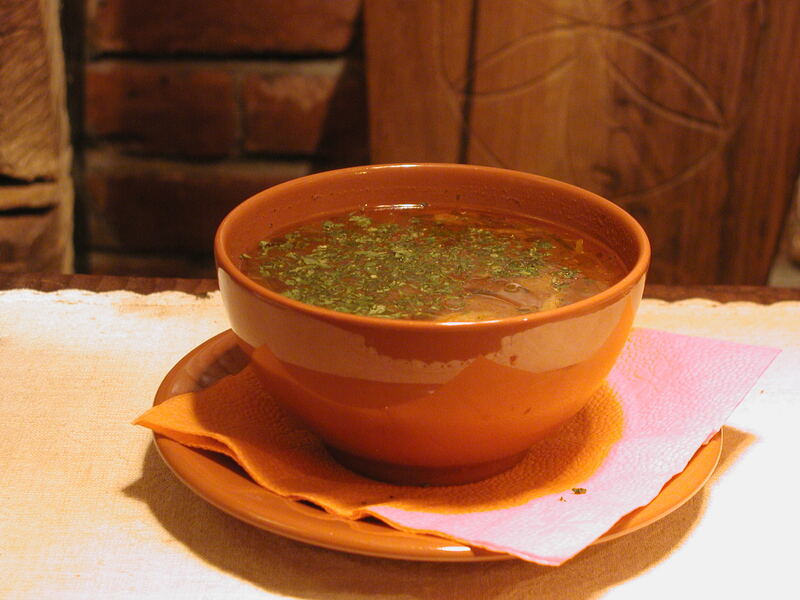 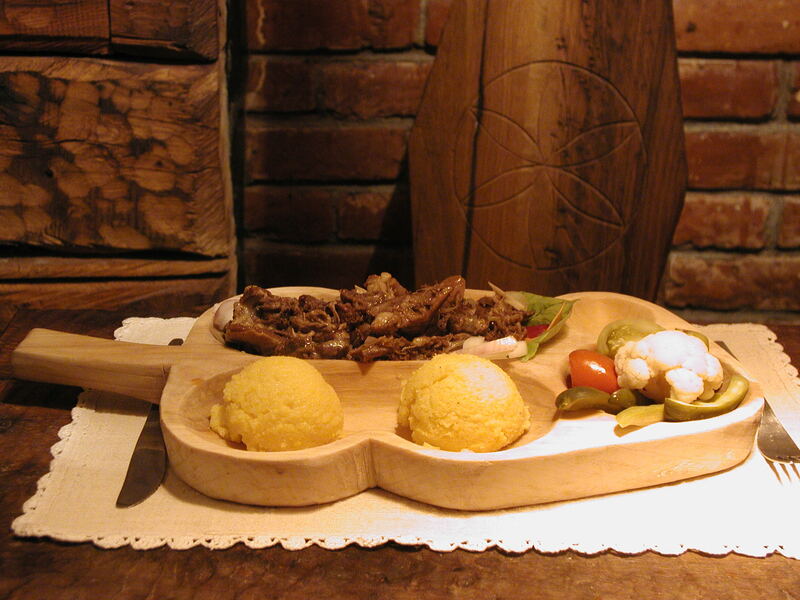 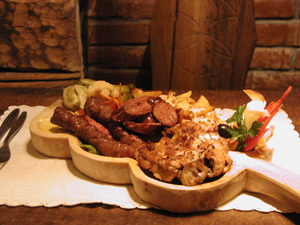 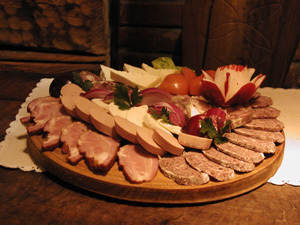 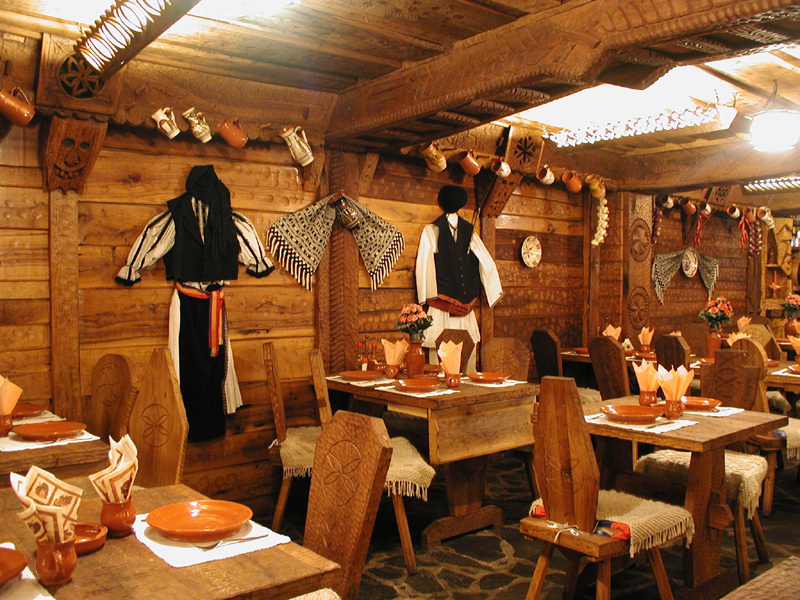 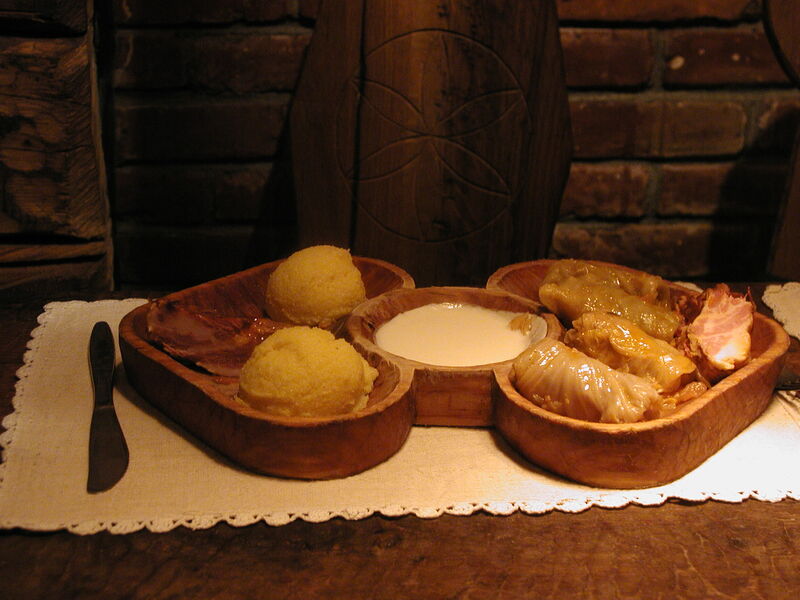 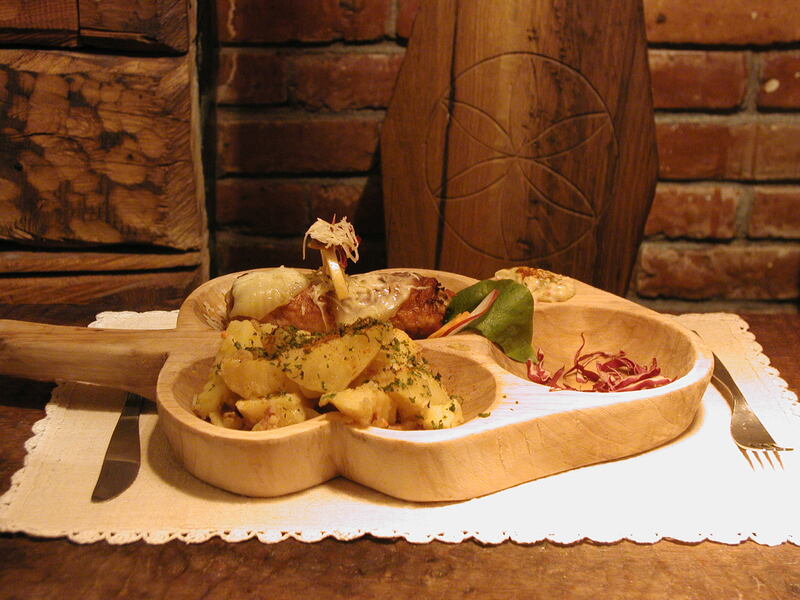 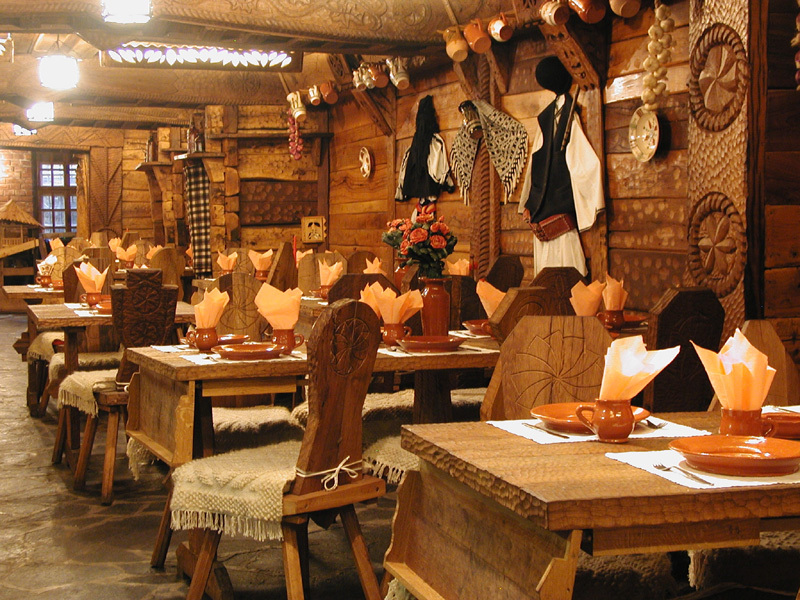 The Romanian "tzuica", the home-made wine together with the finest drinks bring the extreme delight of a relishing meal alongside the charm of folk music. 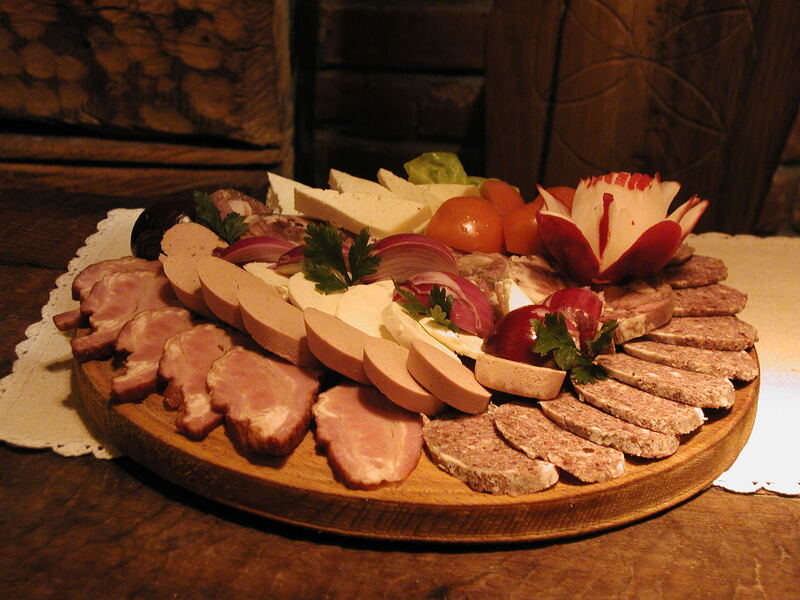 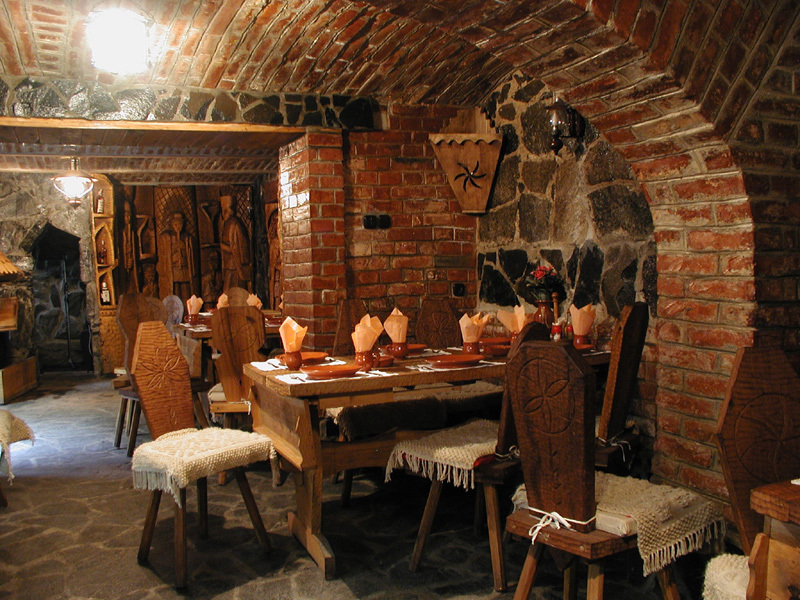 The old tradition of the Neighbouring Area of Sibiu (About 50 km westwards), represented mainly by the village of Poiana Sibiului, is now to be found in the city of Sibiu at "ILEANA" wine cellar, where tradition is at its best. 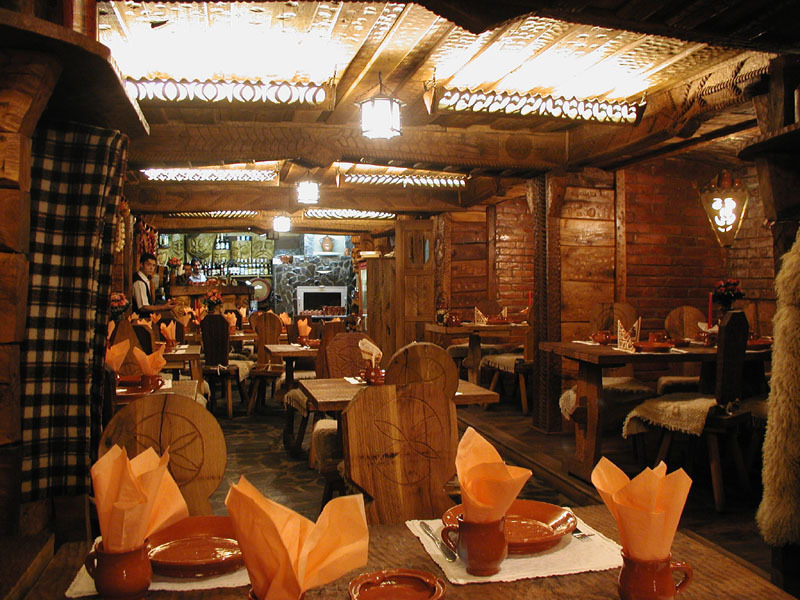 Situated in the heart of the town, the restaurant has over 90 seats at tables both in the saloon and in booths, an air conditioning system, as well as an irreproachable service. 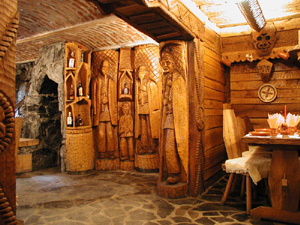 Ileana Wine Cellar The wine cellar has 2 to 8 seats at a table and rural furniture of solid hand carved wood. The decoration is achieved from raw oak timber over 100 years old. 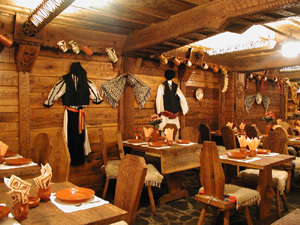 The wine cellar is decorated in the utmost original rustic style, the wood craftsmen bringing together the most varied folk forms and motifs used by their predecessors.